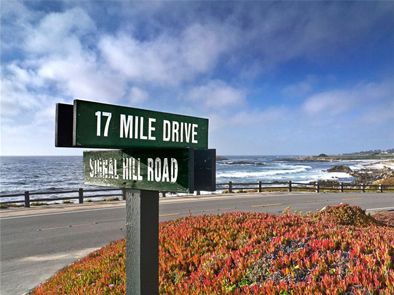 Among the tour options available to attendees to the October HAFLA scheduled for this October is the fabled 17-Mile Drive from Pacific Grove through Pebble Beach, widely recognized as one of the most scenic drives in the world. 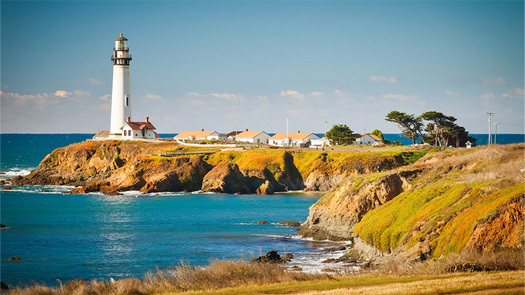 A guided bus tour will take you along the dramatic Pacific coastline past famous landmarks like the 250-year-old Lone Cypress, considered one of the 10 most famous trees in the world, past jaw-dropping homes of rich and famous Californians, and on to the majestic Del Monte Forest. 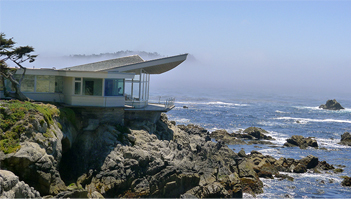 Stops are planned at Pebble Beach Lodge, Bird Rock, and Cypress Point Lookout. 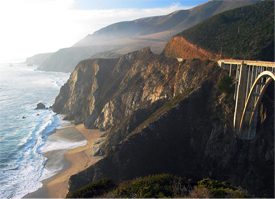 A short visit to the Big Sur coastal area with its spectacular stand of majestic redwoods may be added to the itinerary. Built in 1919, Pebble Beach Lodge is considered "the heart and soul" of Pebble Beach and is home to the world-famous Pebble Beach Golf Links. Open to the public, the Lodge offers a variety of dining and shopping options. Golfing aficionados will enjoy views along the route of two other world-famous golf courses, Spyglass Hill and Cypress Point. Dedicated birders, along with anyone interested in viewing an assortment of feathered natural wonders, will enjoy the tour stop planned for Bird Rock in Pebble Beach. Possible bird sightings may include Brants, Gadwails, American Wigeons, Cinnamon Teals, Northern Shovelers, Northern Pintails, Green-winged Teals, Canvasbacks, Greater Scaups, Surf Scoters, Red-breasted Mergansers, Red-throated Loons, Red-necked Grebes, Brown Pelicans, Brandt's Cormorants, several species of Albatrosses, and more. be sure to grab your binoculars, your camera with telephoto lens, and a copy of the "Rime of the Ancient Mariner"! Many locations along the Drive have starred in motion pictures including "National Velvet" with Elizabeth Taylor, "The Caddie" with Dean Martin and Jerry Lewis, "One Eyed Jack" with Karl Malden and Marlon Brando, and "Escape to Witch Mountain." 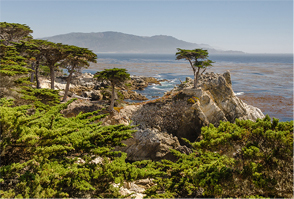 Whether your tastes tend toward golf, or ornithology, or cinema, or scenic oceanscapes, or just seeing the countryside, the 17-Mile Drive Tour should suit you to a T.